This is a classic and loved by lemon-lovers! 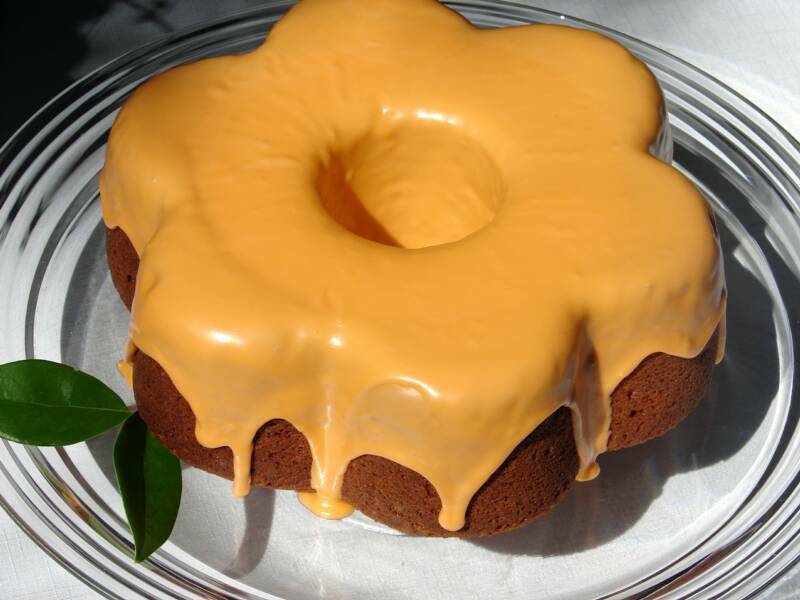 A truly delicious bundt pound cake made with my signature Country Lemon Curd right in the batter. 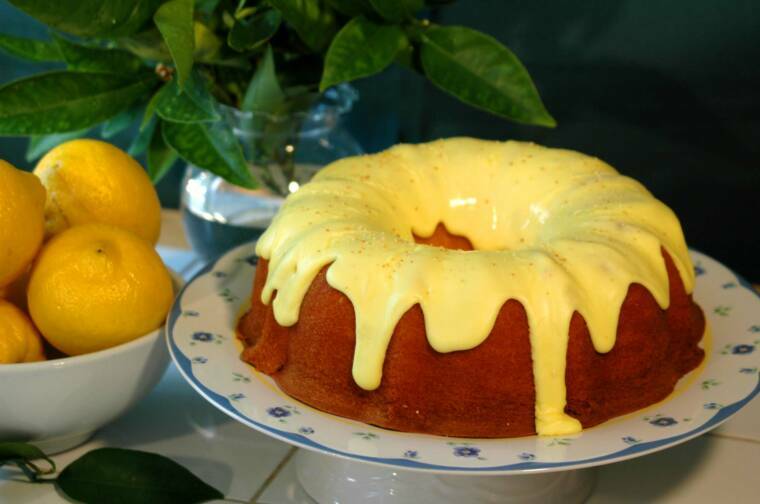 This cake is also delicious topped with a heaping mound of Country Lemon Curd. Or served with a side of vanilla ice cream topped with my Country Lemon Curd! Any way, and always, it's simply scrumptious! A light and fluffy two-layer cake, moist and delicious. 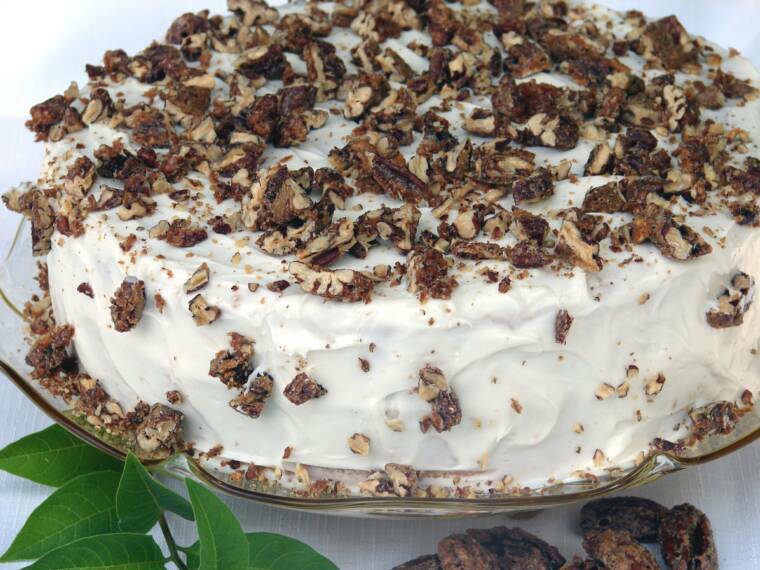 With it's mouth-watering mixture of spices (cinnamon, nutmeg, cloves, & ginger) and it's Vanilla Butter Frosting topped with Spiced Candied Pecans, every bite is as good as the first! 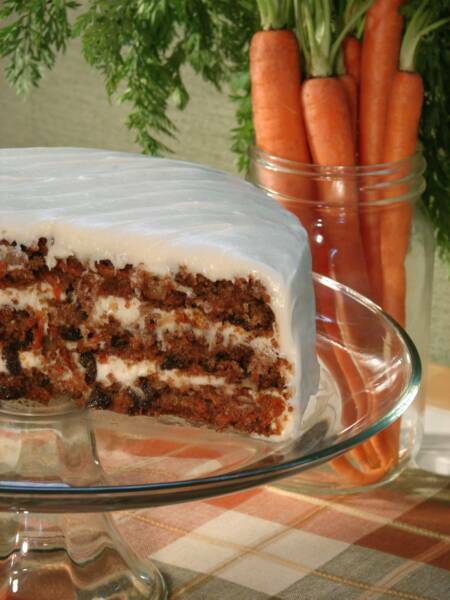 A three-layer cake filled with fresh carrots, plump raisins and toasted walnuts topped with fresh Cream Cheese Frosting. Moist and rich in flavor, it's simply wonderful! 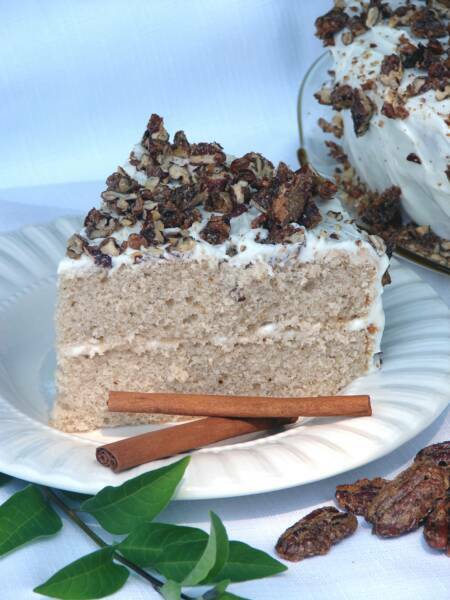 Three layers of fluffy melt-in-your-mouth cake, rich with butter flavor and toasted pecans. Topped with sweet Butter-Vanilla Frosting. Yum! My moist famous & requested Coffee Cake. 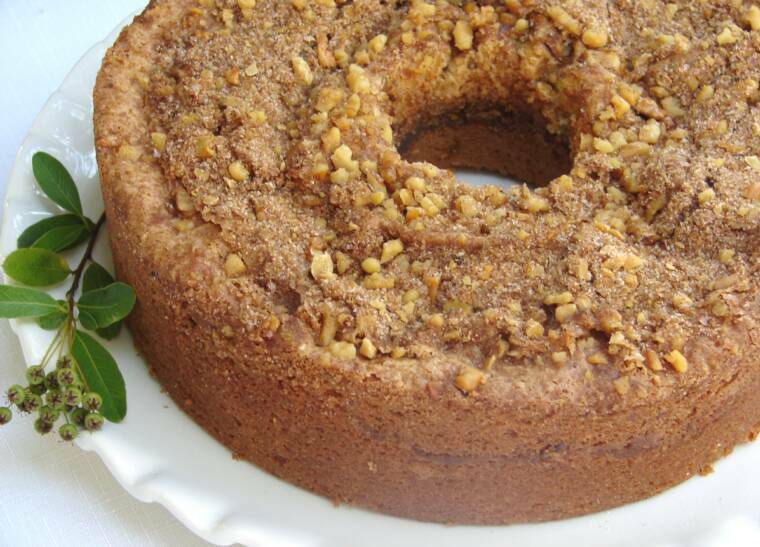 Tender and moist with two delicious layers of toasted walnuts, cinnamon and sugar; one in the center and a second right on top. Perfect for guests, prefect for leisure mornings, perfect with a cup of coffee, perfect any time! 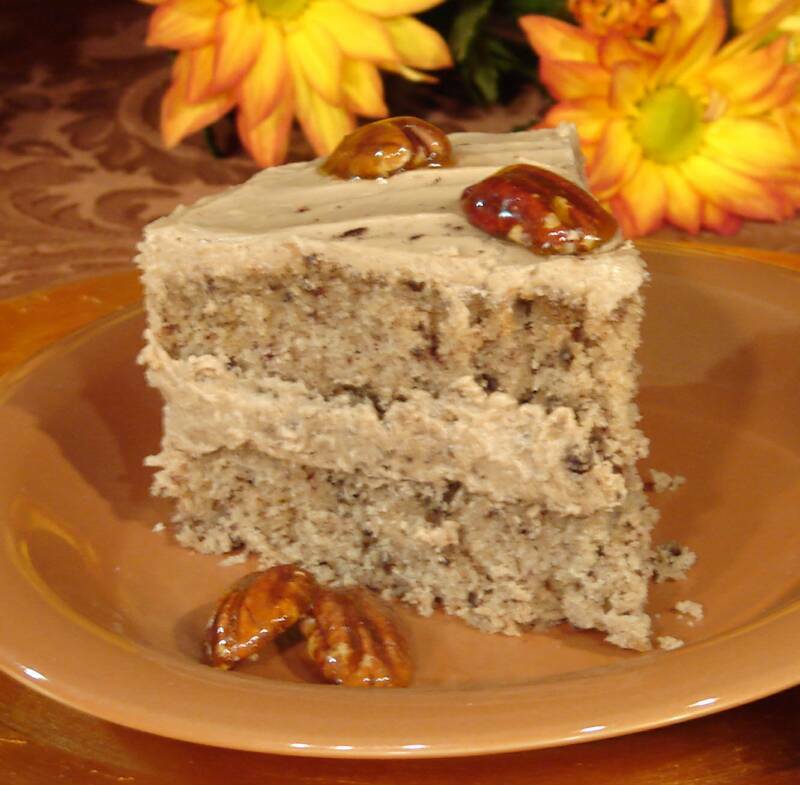 This tasty two-layer cake has pure maple syrup and toasted pecans stirred right into the batter. Topped with a butter frosting also made with pure maple syrup and garnished with my caramelized toasted-pecans. 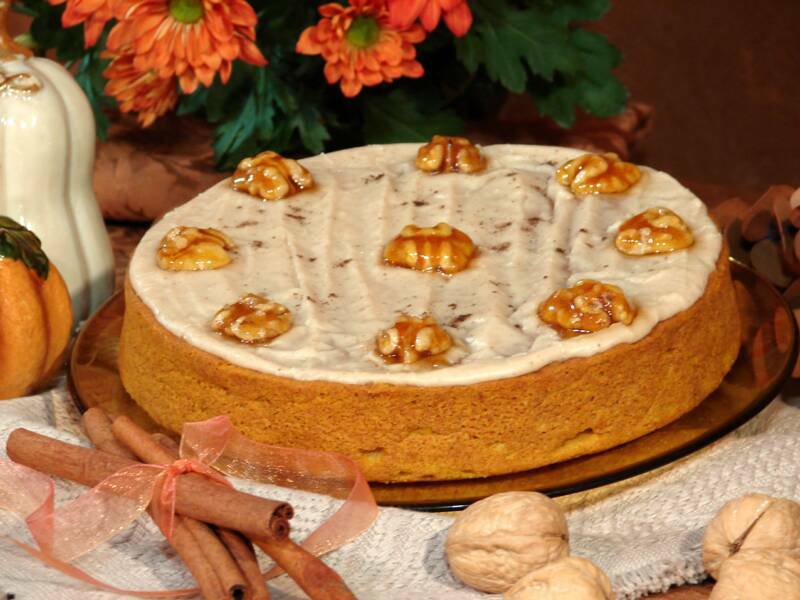 A tender, fluffy and lightly spiced pumpkin cake topped with sweetened Browned-Butter Frosting and my caramelized toasted-walnuts. Topped with a swirl of cinnamon butter frosting these tender, fluffy and lightly spiced pumpkin cakes with melt in your mouth! 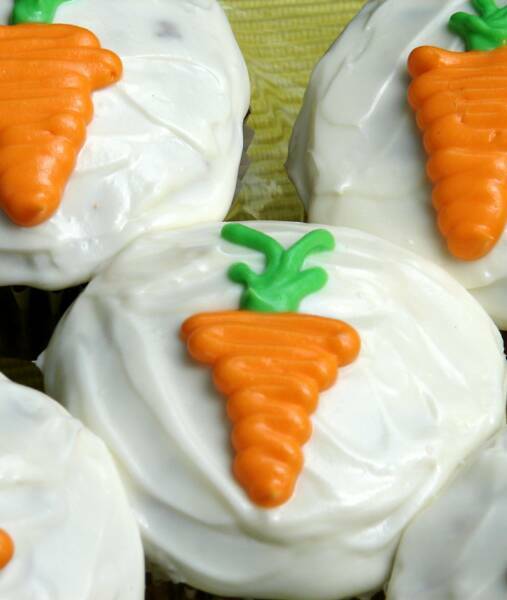 Carrot cupcakes filled with fresh carrots, plump raisins and toasted walnuts topped with fresh Cream Cheese Frosting. 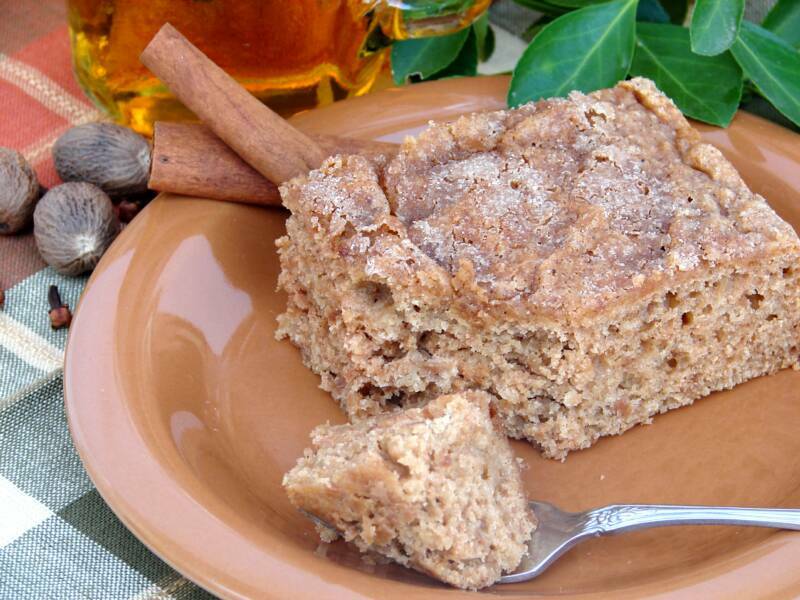 Moist and delicious and rich in cinnamon flavor. 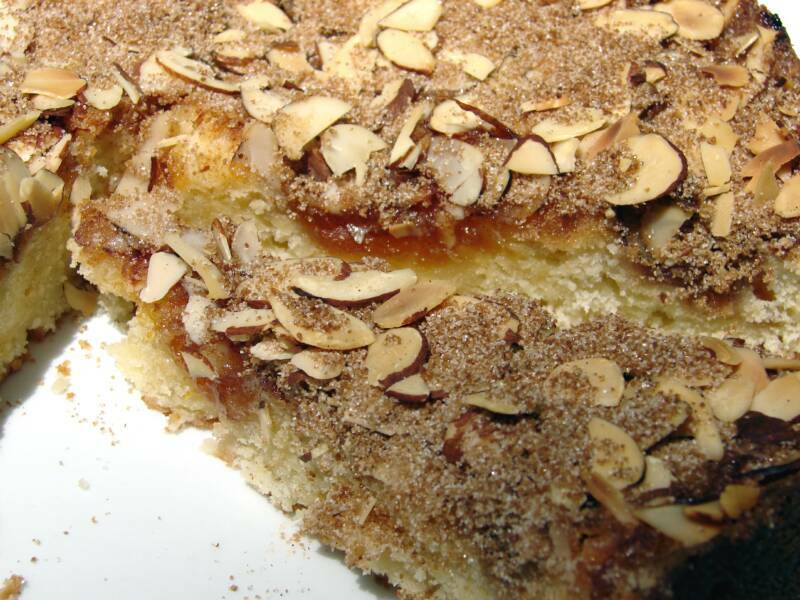 Not only does this scrumptious cake have sweet apricot preserves mixed right into the batter it's also topped with additional Apricot preserves, toasted almonds and cinnamon-sugar. 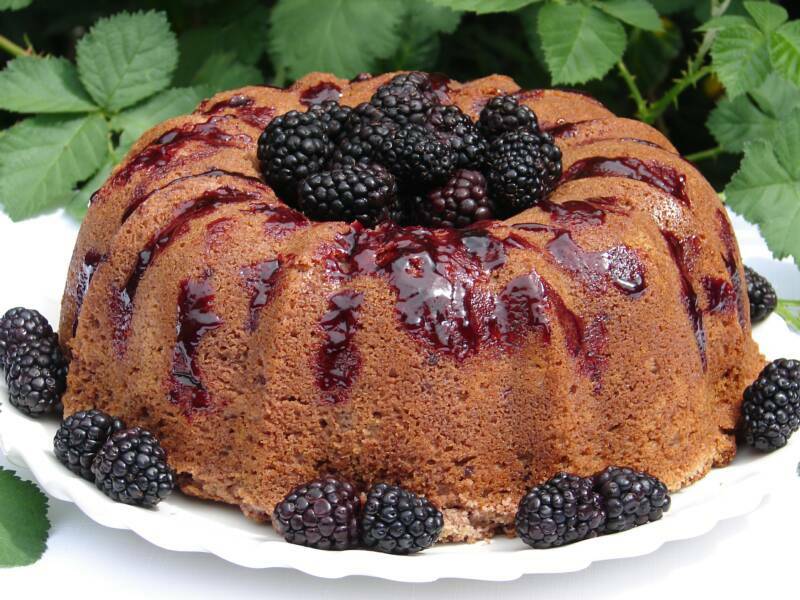 Sweet dark cherries are gently cooked with butter & sugar to create a filling-like topping then swirled right into the batter, which is flavored with just a touch of pure Almond Extract. 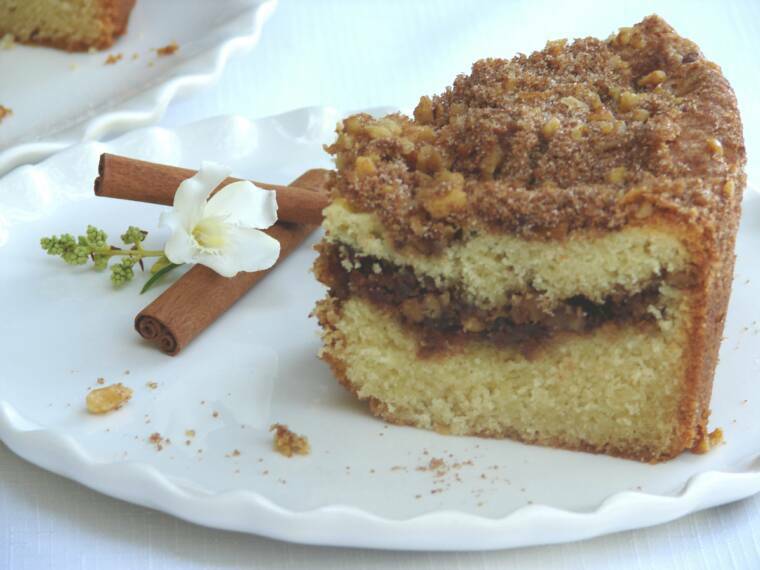 Topped with almonds and cinnamon-sugar this cake is tender & moist and rich with flavor. Perfect for any occasion. Sweet blackberry jam mixed right into the batter. 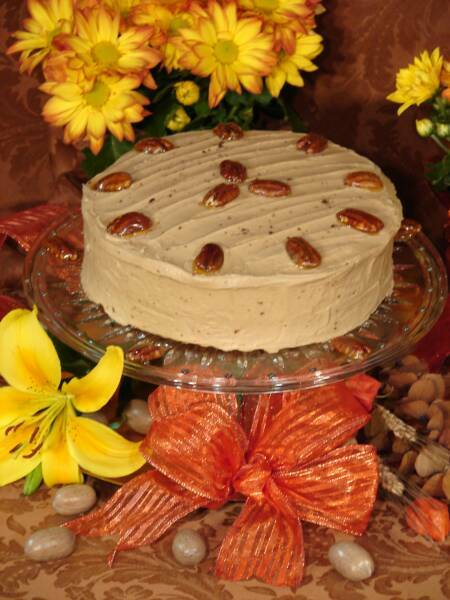 This incredibly light and moist cake will delight your senses. Fresh fruit garnish is an additional charge. 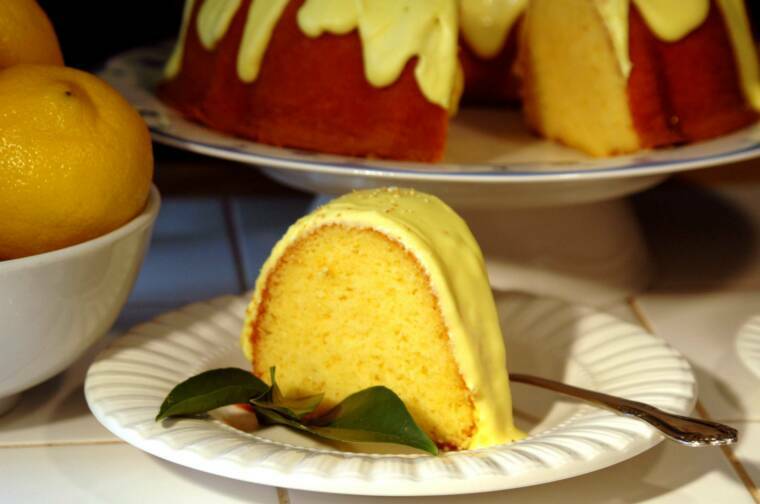 The sunny taste of citrus highlights this soft buttery pound cake. Similar to my famous Lemon Curd Pound Cake, baked with my special orange curd, made with fresh orange juice, right in the batter. Generously topped with a sweet citrus glaze. Fresh sweet apples baked with just a hint of cinnamon and a dash of nutmeg top this richly-spiced, spice cake. Wonderful serve slightly warmed. The aroma will delight your senses! 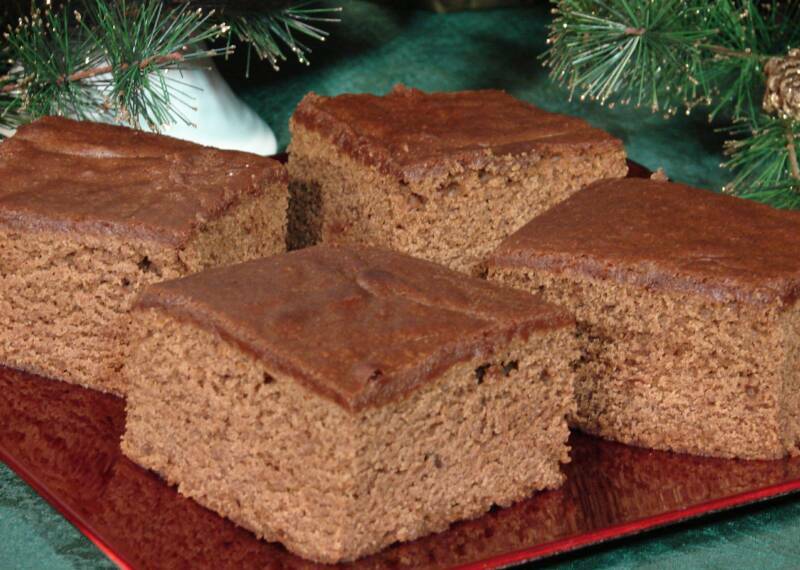 A wonderful snack cake rich with apple flavor. 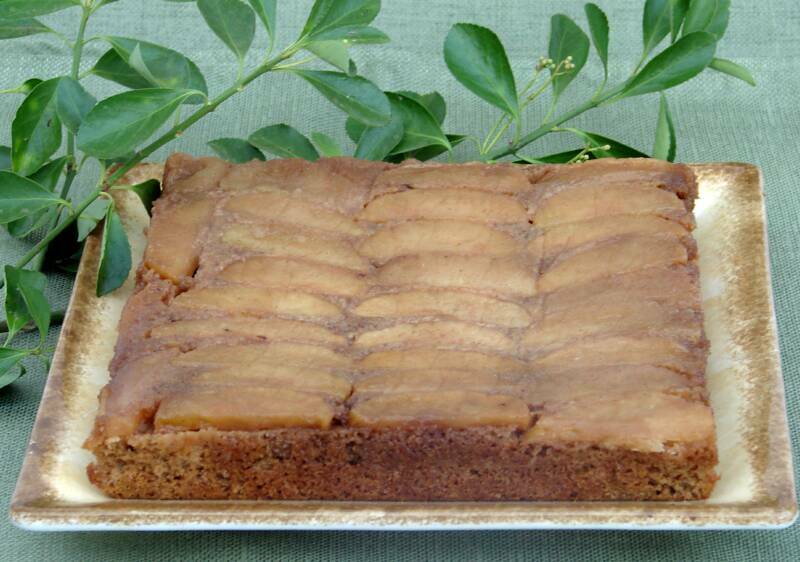 Dried apples gently simmered in apple cider and blended with all-natural apple sauce, give this cake it's moist, yet light texture. Perfectly spiced with just the right amounts of cinnamon, nutmeg and cloves and lightly topped with a sprinkling of cinnamon-sugar. 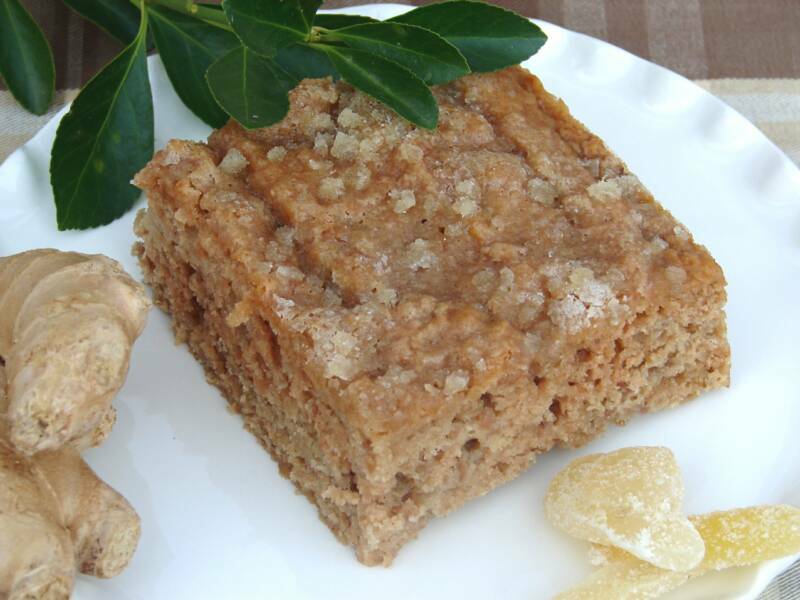 This snack cake is prepared in much the same way as the Apple Cinder Cake; with dried apples gently simmered in apple cider and blended with all-natural apple sauce, giving this cake it's moist, yet light texture. But what makes this cake uniquely it's own is the special blend of ginger and cardamom and it's topping of candied ginger. Mmm Mmm good! 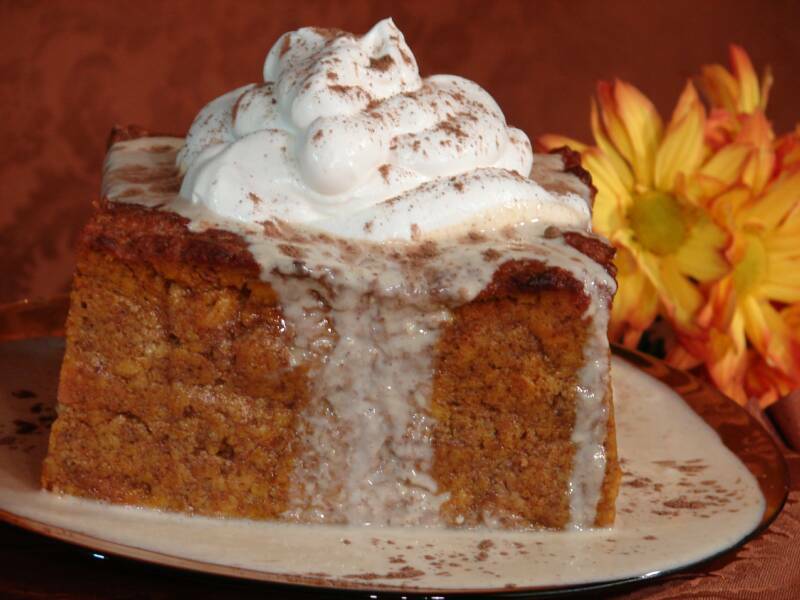 This is the best pumpkin Bread Pudding you'll ever taste! First I use freshly baked Brioche, a sweet egg bread, (which I bake myself) instead of old bread, giving this wonderfully rich dessert an extra boost in flavor and texture. 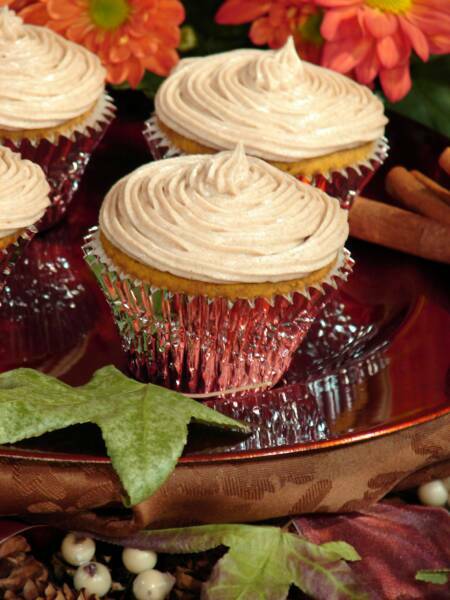 Moist and rich in pumpkin flavor with just the right amount of spice, every bite is a delight for the senses! And that cinnamon sauce... Mmm heavenly!! of milk and buttermilk for a richer, moister cake with better flavor. Sweetened with a combination of light molasses and sugar. I also use fresh butter (instead of oil); and a little bit of cocoa. Perfect for that after dinner snack. Try it warm, it's wonderful! 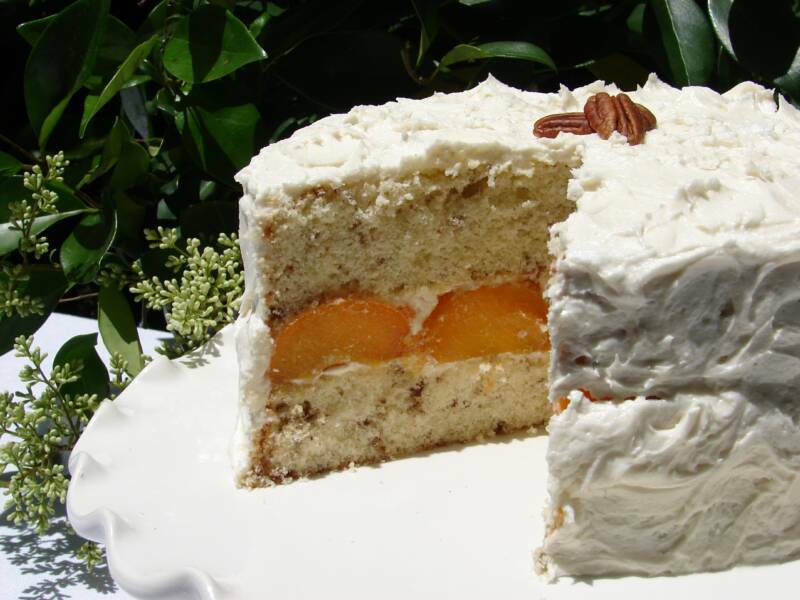 Two layers of fluffy melt-in-your-mouth cake, rich with butter flavor and toasted pecans, gently hold together a center layer of fresh Apricot halves. All generously topped with sweet Butter-Vanilla Frosting. Yum! Seasonal - only available during Fresh Apricot Season. 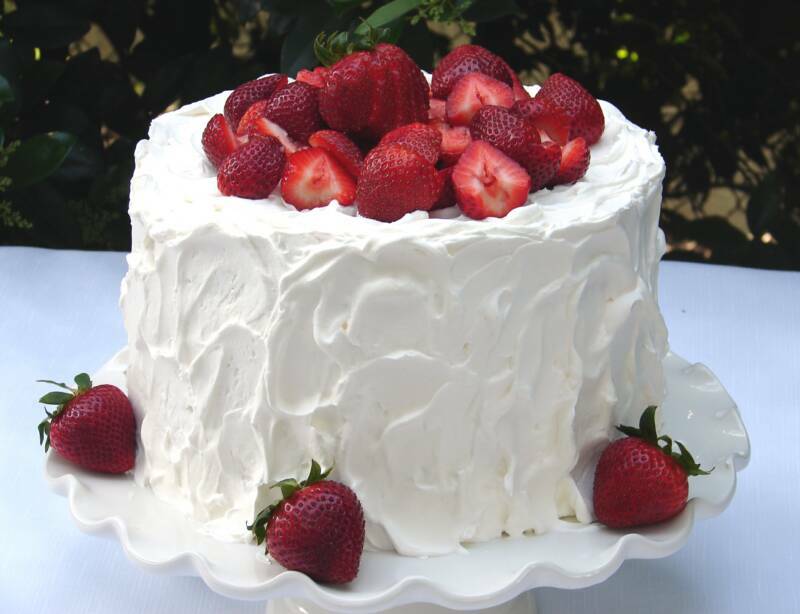 Three layers of decadent snow-white cake alternating with two layers of sliced fresh sweet strawberries all wrapped in sweetened freshly whipped cream and topped with more plump berries. It's incredible moist and delicious! Seasonal - only available during Fresh Strawberry Season. 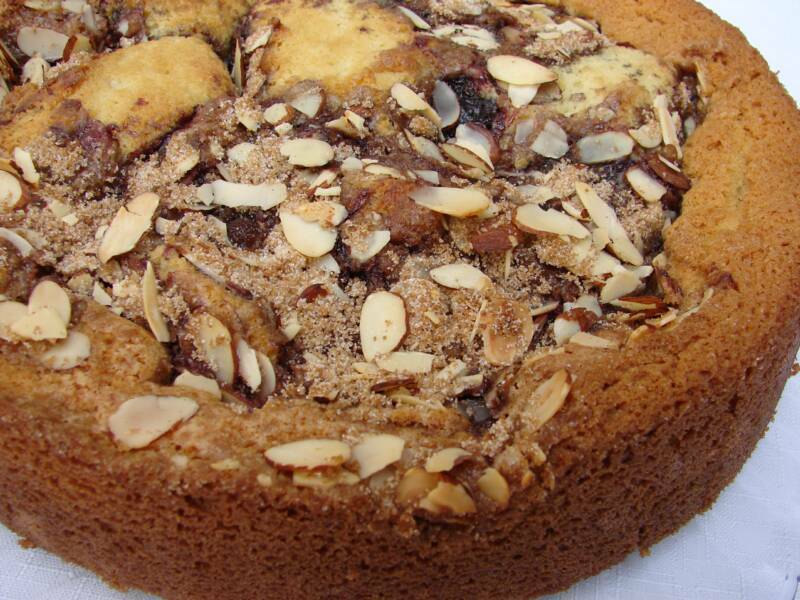 A Perfect balance of aromatic spices, baked into a cake with raisins, candied fruit and freshly toasted nuts. Each cake is gently wrapped with cloth soaked in brandy and allowed to age to perfection. This is quality through and through. 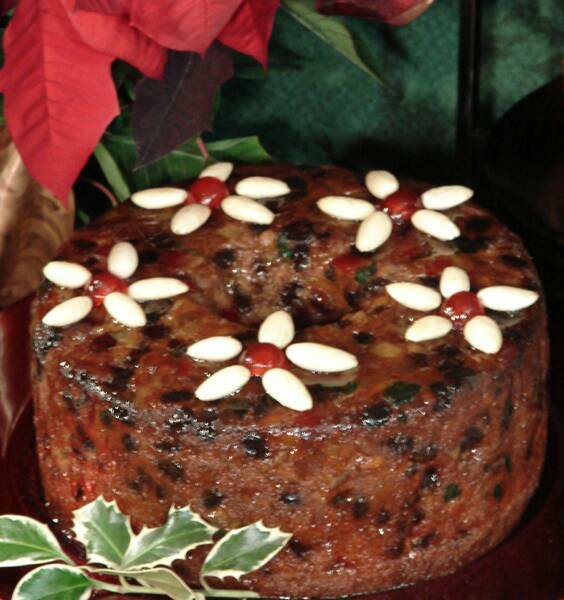 Try this heavenly fruitcake and you might not stop until it's gone! It's really that good! I get requests for these wonderful cakes year after year! And I hear about it if family and friends don't get one! Honestly!